Click on the 'Add New Campaign'. This will show the screen above. Click on the 'Traditional Campaign'. Click 'Select'. This will bring up a new screen where you can select the campaign you wish to copy. Now you can design your campaign as usual. Please Note: The audience of the copied campaign will also copy over. If you want the audience to be different you need to change this manually. 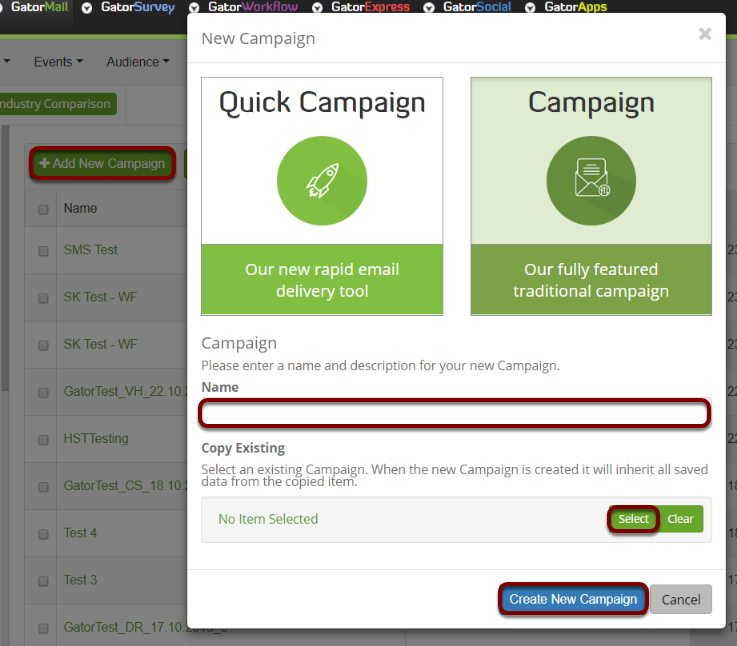 You have the ability to copy and convert an email selectively within Campaign -> Email. Select the GatorCreator icon and the option to copy will appear. Please Note: You can only copy/convert GatorCreator emails to GatorMail emails!